I've seen that there is a 90C option available for the N62. I searched here but couldn't find any reference to anyone running it. Saw a lot of people using them in 7's and 5's though. BMW designed these to run hot for added fuel efficiency but it's just a bit too hot for me in 100+ degree Texas summers unless I want to be changing hoses and expansion tanks every couple of years. Anyway, anyone here running one of these? Anyone see any down sides? I am going to be PM'ing the water pump, thermostat, and pulleys in the very near future and was starting to order parts so I figured I'd ask the forum and query the collective wisdom. What say you? Last edited by Clockwork; 02-24-2017 at 12:38 PM. As some here may know. I've sold boatload of 88 C thermostats for M62TU. I'm running 95 C thermostat in 540 and X5 (modified it to fit new style hoses) but ideally I'd like to use 90 C.
I saw that too... but also read you can put the guts of that H-T brand one into your OEM's housing and create a hybrid that works great in terms of reliability. 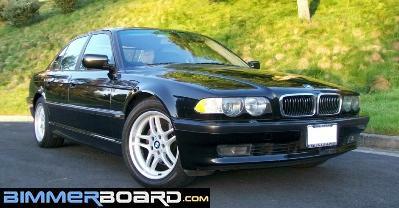 That said, I'm going to give the option bmw540san found. They are super over selling it, but @ that price for a modded OEM unit... I'll give it a shot. Will be ordering in the near future. Looking forward to your write up. You should get it pretty quickly too since they're in Spring, TX (just North of Houston) and where you're located. Since the Hamburg Technic unit is questionably junk what other options do we have for the N62 4.8is engine? I plan to change my coolant system soon and I can't help but feel that I would like to run a colder 90C-ish unit to further exhance cooling system longevity. I have finally received the thermostat from Logic 7. Looks identical to a factory thermostat. I'm assuming any modding was done to the sensor or associated electrics. Haven't looked at it too closely. I am going to tackle this job after the arrival of the Xdrive35d that we purchased for my wife so I can take mine off the road for awhile. I have not received another CEL regarding the thermostat, but it's just a matter of time really. I am going to take live data of before and after swapping to the modded thermostat so I'll keep this updated. Yep, the ones from ecstuning.com have been reported to disintegrate at the electrical connection. I'm running the one from bmwlogic7 on my 09 4.8i and the operating temps are around 99-102 C vs. the 106-109 C stock.